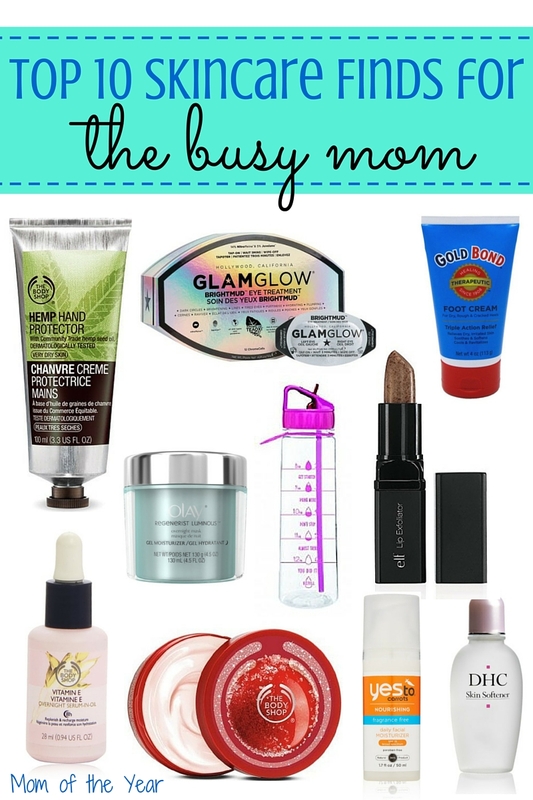 Ten Skin Savers You Need, Busy Mama! Let’s be real for a minute here, mamas. The older I get, I realize there is very little hope for ever fully taming my thighs situation. That’s cool, I can handle that…mostly, on good days, when I am not surrounded by too many adorable hip moms in their exquisite athleisure. It’s a brutal world at preschool pick-up, you see. The results can be significant. Doing something to value yourself is a tremendous mood-booster. Most days I don’t have time to shower, much less go for the make-up. I need my face to look decent at-the-ready. All this said, I love skincare. I love finding fantastic products in general, but because skincare is something I so thoroughly enjoy, I’ve spent some extra effort nailing the best, most-effective, and easiest to use products that savvy up with the busy mom lifestyle. What ten products do you need to add to your skincare regimen right now? A quality toner. Last winter I read a foolish article that said it was okay to skip this step in the winter. So I listened. And my skin almost instantly got scaly and weird. Don’t skip it, friends, just don’t. Wash your face well then apply toner before moisturizing. DHC’s Skin Softener is my absolute favorite (miracle worker! ), but I have also been trying out this more budget-friendly option from Neutrogena with good results. A serum. We’ve been hearing for two years now how essential using a serum is; and it’s true. The sky’s the limit on what a serum can target: lines, age spots, dry skin, saggy skin…shop around and find one that works for your own needs. Serums can be brutally pricey; basically, you get what you pay for. Even a cheaper serum will help, but to get full-on magical results, be prepared to shell out. A sunscreen. You’ve heard it a million times. Do it. You’ll thank yourself in twenty years when you aren’t hanging out non-stop at the dermatologist’s office. I like this one from Yes to Carrots. All natural, inexpensive, non-greasy, and lays well under make-up. An overnight mask. What?? I know, but TRUST ME! I discovered this product this winter, and I’m never looking back. This is not the same thing as a night cream; this is the very last step you put on before bed, after your night cream. Lather up, doze off, then wake up with baby soft skin! 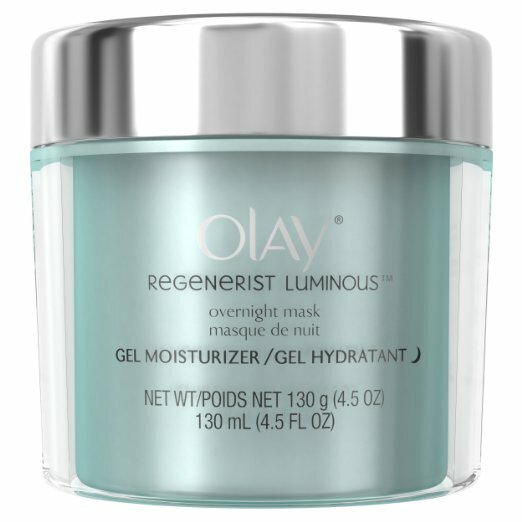 I am loving Oil of Olay’s Luminous Overnight Facial Mask Gel Moisturizer. It has a fun, light texture packed with skin-hydrating benefit. A lip exfoliator. Why am I only now discovering this? 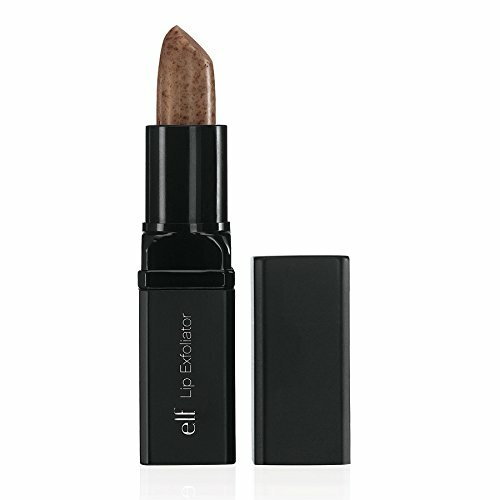 This cheapie from E.l.f. is easy-peasy revitalization in a simple stick! Smooth it on, wipe it off and dead skin on your lips is history. Lipstick and gloss goes on and stays put so much better. Grab a few of these sticks now! Hand cream. My skin is EXTREMELY dry, and when I say I’ve dedicated most of my 36 years to finding a genius solution that will actually work, I mean it. But I need not search any longer: genius discovered. Buy this from The Body Shop, buy it in bulk, and don’t look back. Not greasy, light, lasts through washes and actually heals. 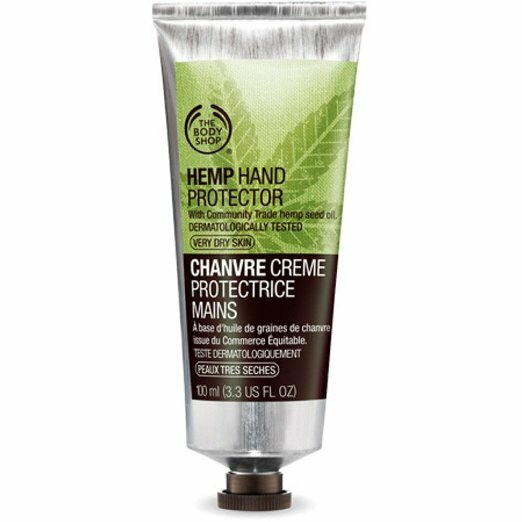 For an even more power protection of those hands, snag The Body Shop Hemp Hand Oil too. It works. Wonders. Body Butter. My dry skin requires intense moisturization after a shower, and in the winter I don’t mess around. Body butter feels amazingly creamy on your skin, and The Body Shop has a huge selection of yummy scents. My favorite scent is cranberry, so I stock up when it is on sale around the holidays and enjoy it until spring. Foot cream. Yup, those tootsies need loving too. 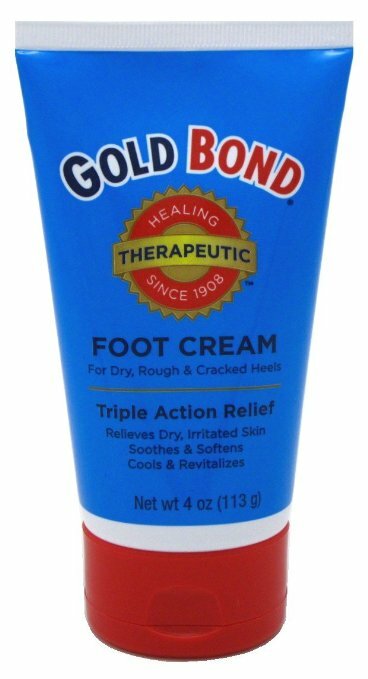 To stave off calluses and cracked heels, you need a cream with urea in it. This one from Gold Bond is my go-to. Pleasant texture and gets the job done. Slather it on every night and you’re set! Eye treatment. 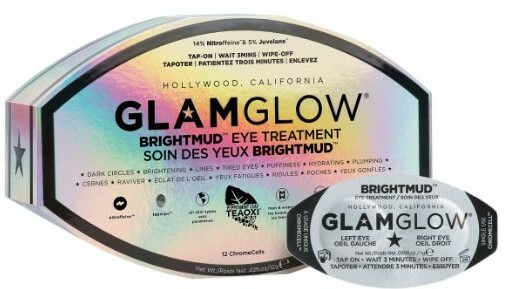 Eye creams are essential to your daily routine (try E.l.f.’s new Illuminating Eye Cream for an effective, economical option), but periodically, treat your eyes to this good lovin’ from GLAMGLOW BrightMud Eye Treatment. The results are stunning! After the first time I used this product, I couldn’t stop staring at my eyes in the mirror: was this for real?! Go treat those tired peepers, friends. You’ll feel like a new woman, I promise. For more smart scoop on how to best care for your eyes, check out this eye cream guide. Water. In a serious way. Water does all sorts of wonderful things for our bodies and our energy levels, but getting enough water is also the smartest thing we can do for our skin. It hydrates, refreshes, and keeps our skin thriving. If for this reason alone, gulp it down and get your daily intake in. 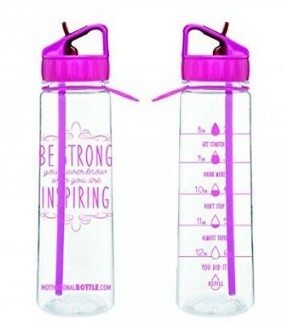 If you need help keeping track of your sips or finding motivation, check out this nifty bottle that helps push you on throughout the day to meet your goal. Whether you give all of these ideas a try, or just a few, your skin will thank you, and you’ll feel better for having taken some healthy care of YOU. We busy mamas can’t fix everything, but we can take a few easy steps to help us look and feel our best. Go get your skin glow on, friends–it’s worth it!